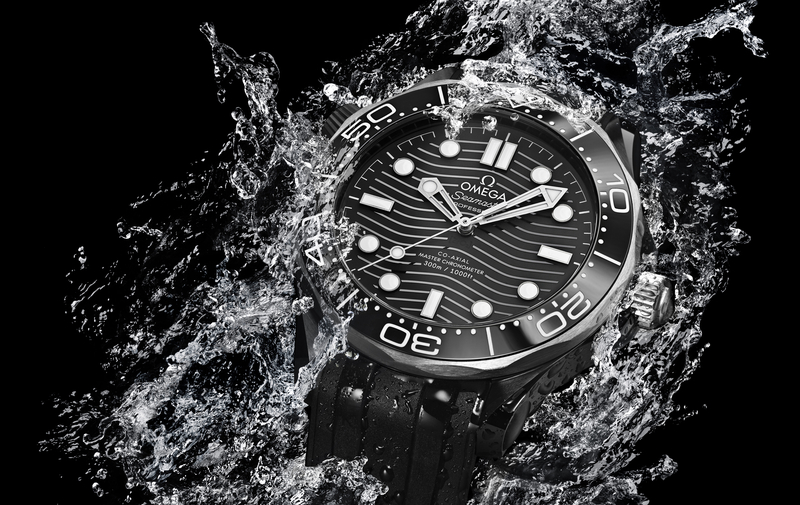 Unlike previous Dark Side of the Moon models, which have been powered by Omega’s advanced CO-Axial 9300 series movement, this watch houses a specially decorated version of Omega’s manually wound caliber 1861. 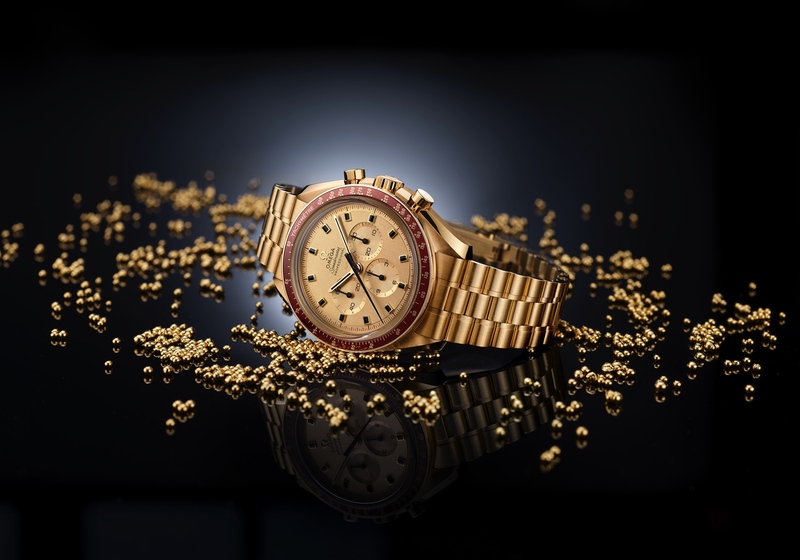 Despite being an older design, based on Lemania (which Omega purchased), caliber 1861 is still being used in a number of important Speedmaster Moonwatch models. For this implementation in the Dark Side of the Moon, the movement has been visually enhanced to look like the moon’s surface, resulting in the new caliber 1869 designation. Laser ablation has been used to precisely decorate the bridges and main plate of the blackened movement, producing realistic imagery of the lunar surface. The movement also has blackened or matte screws, and a dark nickel coating on the wheels and balance wheel. Additionally, like the movement, the dial, which has been skeletonized, also features the unique textured patterns that mimic the lunar surface. The moon has two sides, and the dial-side of this watch represents the light side of the moon while the back of the watch represents the dark side of the moon. 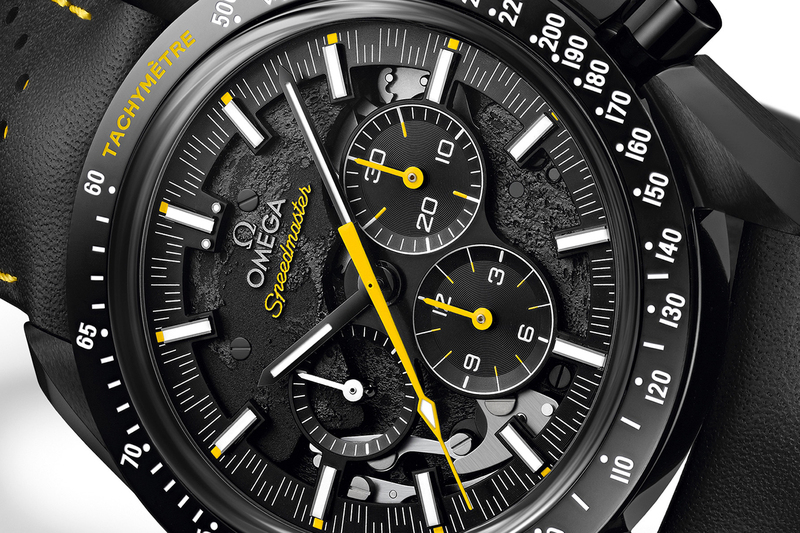 The Speedmaster Dark Side of the Moon Apollo 8 comes in a black zirconium oxide ceramic case, measuring the 44.25 mm across the dial, like the original Dark Side of the Moon, however, thanks to the use of a thinner movement and a non-box crystal on the backside, the thickness of this watch is 13.80 mm as opposed to 16 mm. Contrasting the mostly black watch is a bright yellow color which is seen on the varnished chronograph hands, above each hour marker, on the tachymeter scale, and for the thread and rubber lining of the perforated strap. The caseback is engraved with the words “WE’LL SEE YOU ON THE OTHER SIDE” as a memento to the Apollo 8 which orbited the moon. 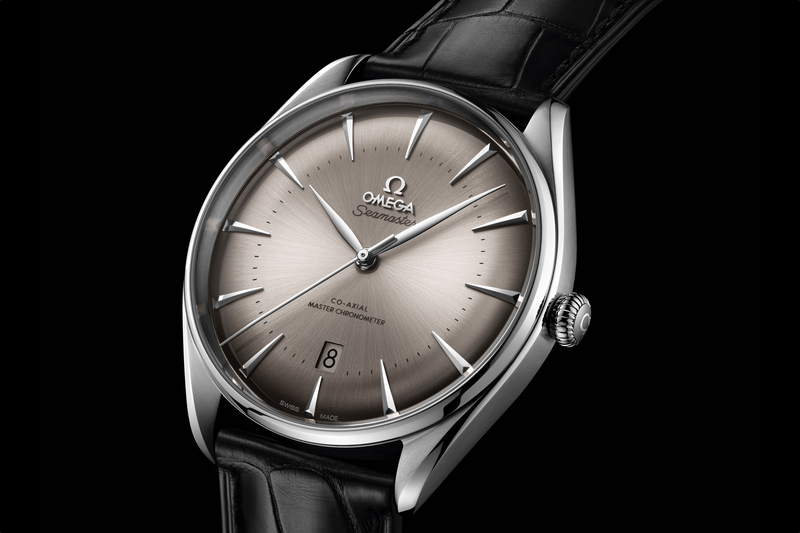 Interestingly, as you can see in the video, the Omega logo on the crown is luminous. The decorations of the movement are definitely a cool touch, although you will pay a hefty premium for a movement seen in the Moonwatch at a starting price of around $5,000 (which is, by the way, a phenomenal watch). But you won’t get the decorated caliber 1869 for that price, nor would you get a black ceramic case. That and the special edition features are what you will pay extra for in this instance.